Purchase online 74LS279 Set-Reset Latch IC in India at low cost from DNA Technology. The 74LS279 consists of four individual and independent Set-Reset Latches with active low inputs. Two of the four latches have an additional S input ANDed with the primary S input. A LOW on any S input while the R input is HIGH will be stored in the latch and appear on the corresponding Q output as a HIGH. A LOW on the R input while the S input is HIGH will clear the Q output to a LOW. Simultaneous transition of the R and S inputs from LOW-to HIGH will cause the Q output to be indeterminate. Both inputs are voltage level triggered and are not affected by transition time of the input data. 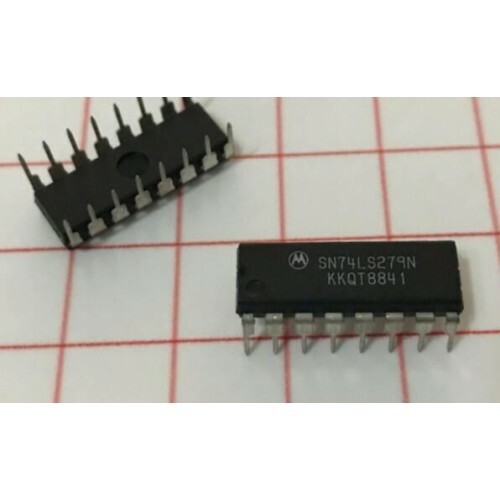 Datasheet of 74LS279 Set-Reset Latch IC. 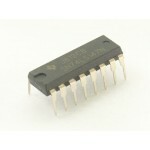 74LS147 10 Line to 4 Line Priority Encoder74LS147 is a priority encoder IC. 74LS147 provides pr..